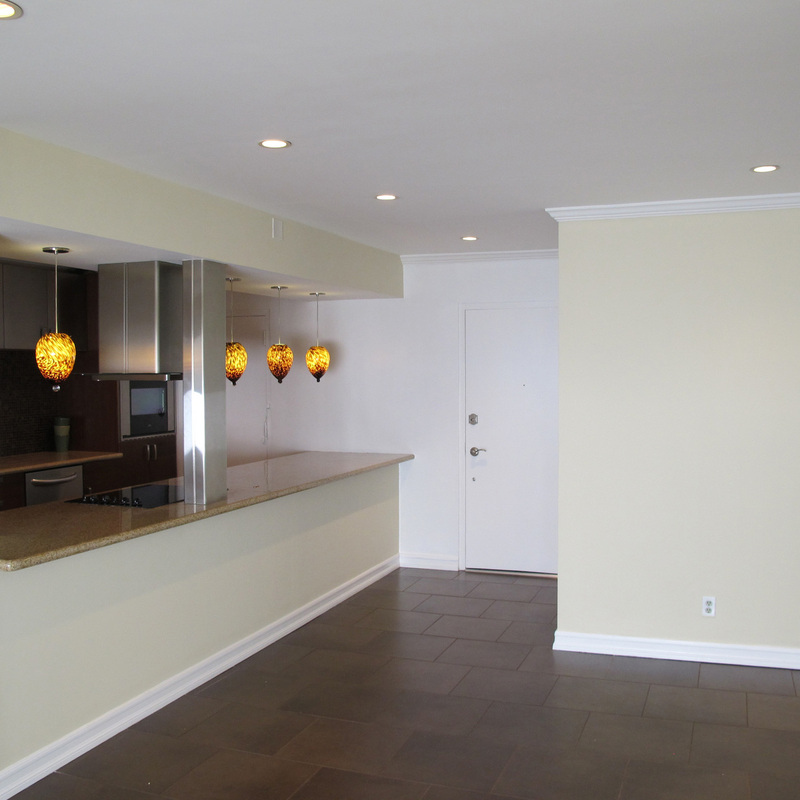 Beautiful renovated condo with an open floor plan. Open Kitchen with granite counters and stainless appliances. Sleek tile floors. Freshly painted, with recessed lighting . Good sized master bedroom with a large designer done walk in closet. Spacious bath with large granite shower. There is a smaller second bedroom with can easily be utilized as a guest room, office, or den. The building has just repainted the hallways and added new carpeting. Located in a prime location across the street from Gelsons market and close to restaurants, dry cleaning and many shops. The building has earthquake insurance and allows pets. There is a large laundry room and an indoor pool and spa. The unit is vacant and waiting for the new buyer to call it home!